This post contains affiliate links. Thank you for supporting the brands that I love! Guys!! I’m so excited to welcome you back for the big reveal of our Boy’s Nursery for the $100 Room Challenge! I’ve got to be honest—I’m usually a prepared, work ahead type of person but we were really down to the wire with this project! I worked my tail off all month long, but at 30 weeks pregnant that’s not saying much 😆. Since budget is the name of the game when you only have $100 to spend, I went with free pallet wood for the feature wall behind the crib. 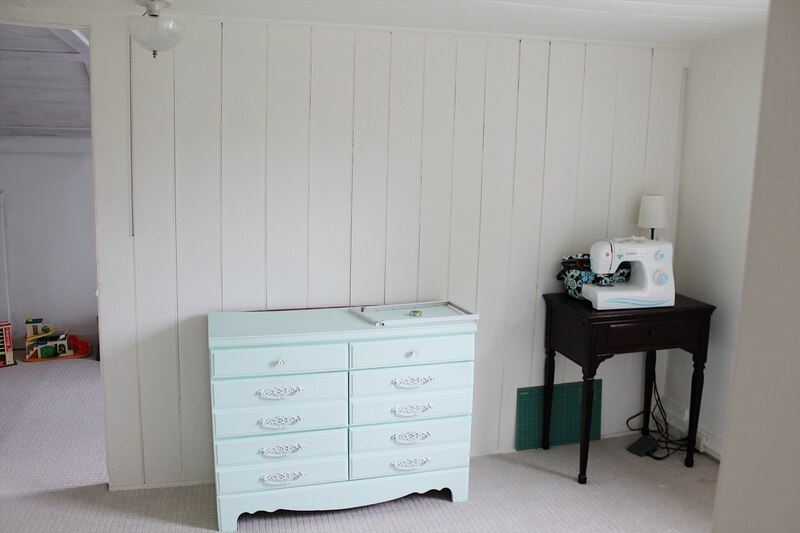 I love this little nook so much–its like it was made for a crib! Since I wanted a little bit of southwestern/cactus flair, I found these adorable little prints on Etsy, for only $4.50 as a digital download. I then popped them into three $1 frames I found at Walmart. Easy peasy, and it looks great! I knew I wanted to add some more texture to this focal space, so I found this adorable rug at Target. The fact that it is machine washable is pretty much the best thing ever and makes it sooooo perfect for a kid’s space. For this next part of the room, I wanted to create a cozy sitting area and reading nook. I started reading to my daughter when she was 2 weeks old and it’s been her favorite thing ever since then. As a former English major, my heart is proud! This space really fell together with things I had on hand. Plants are great air purifiers so I made sure to leave this snake plant in here in a little woven basket I had on hand. I’ve linked a similar one here. The curtain rod was $3 at Walmart, and the curtains are some that I already had sitting around from Ikea. Also sitting around were those photo ledges–I bought them years ago and never got around to doing anything with them. They make the most perfect book display shelves! I also had the chair lying around so I painted the arms white. And then there is the ottoman. Oh my goodness you guys, I thought this thing was going to be the death of me! I had an old cushion lying around, and I didn’t trust my sewing skills at making a box cover for it, so I decided to crochet one instead. I LOVE how it turned out, but I was really just making it up as I went along. 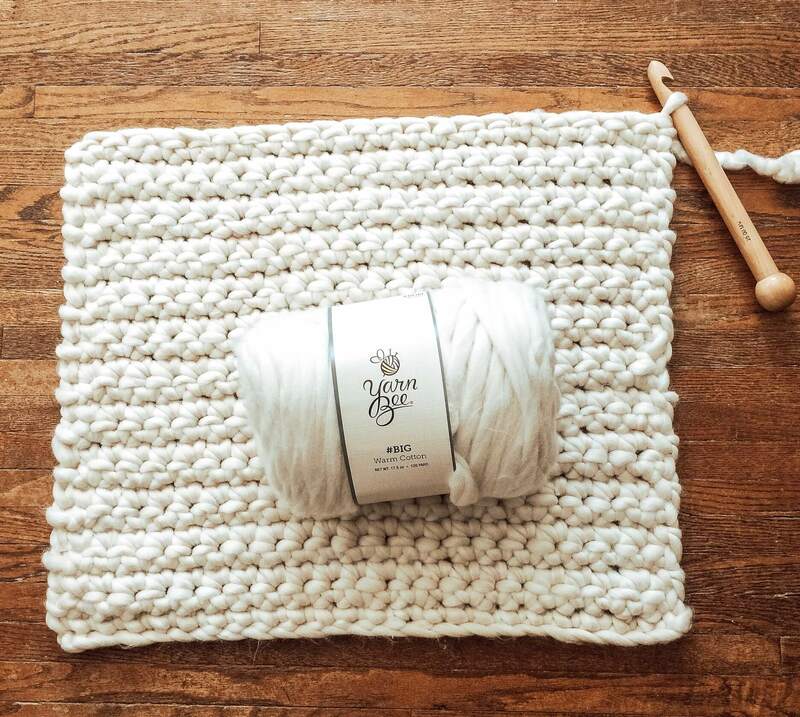 I had a panic moment when I needed another skein and it was sold out in my local store and online! Luckily I tracked some down from another store and now that store is sold out as well!! The pillow was also borrowed from another room and came from Hobby Lobby as well! Moving right along, do you remember this view? It looks a little different, now! I needed to take this old dresser from my daughter’s nursery and give it an update fit for our little guy. For the paint color, Since I knew I wanted a matte black, I used leftover Magnolia Chalk paint in the color Blackboard. I love the sophisticated and unexpected (for me!) twist it adds. The hardware was love at first sight and is from the Hearth & Hand line at Target. I’ve gotten a lot of questions about the cushion on top of the dresser, and it is a Snuggle Me Organic lounger. It was a must-have for me this time around! The mirror is also from Hobby Lobby and I snagged it on sale for $17! Yay for coming in under budget!!! I really enjoyed this whole experience, and I hope it shows you that with a little creativity, you can completely transform a space on a major budget. I’m always worried I won’t be able to pull it off, but I’m so happy with how it turned out and I can’t wait until our little guy arrives to complete the space. It’s beautiful, especially that wood wall. And taking on this challenge pregnant was especially brave. Great job. Oh my goodness Megan! This is precious. I LOVE the wood accent wall. Well done my friend! 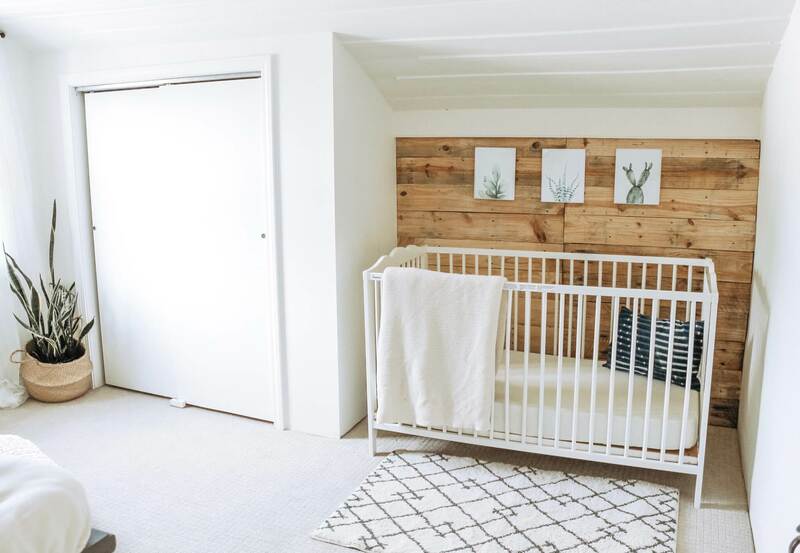 Your nursery is adorable and the pallet wall gives the room so much texture and is beautiful. You have styled this room beautifully. Megan this is just the sweetest nursery now all your need is baby! Love that wood accent wall you guys created. Cute! 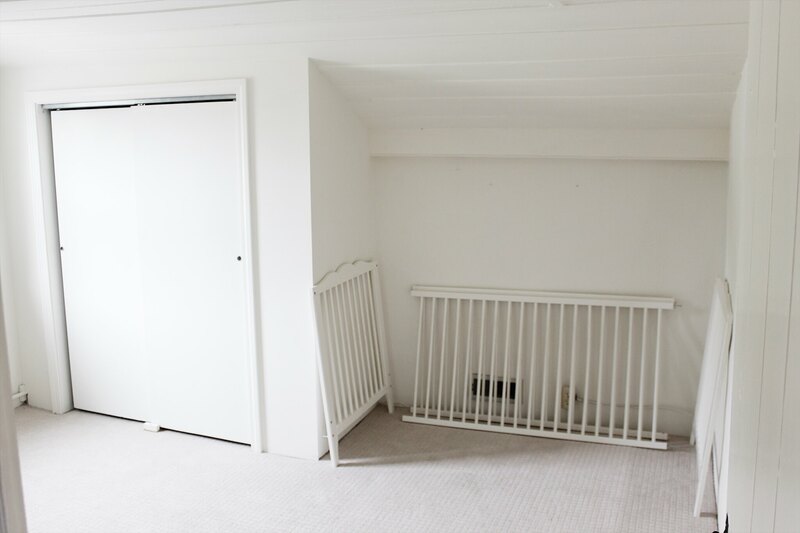 So bright and airy and I love the nook for the crib. And congrats on the baby! 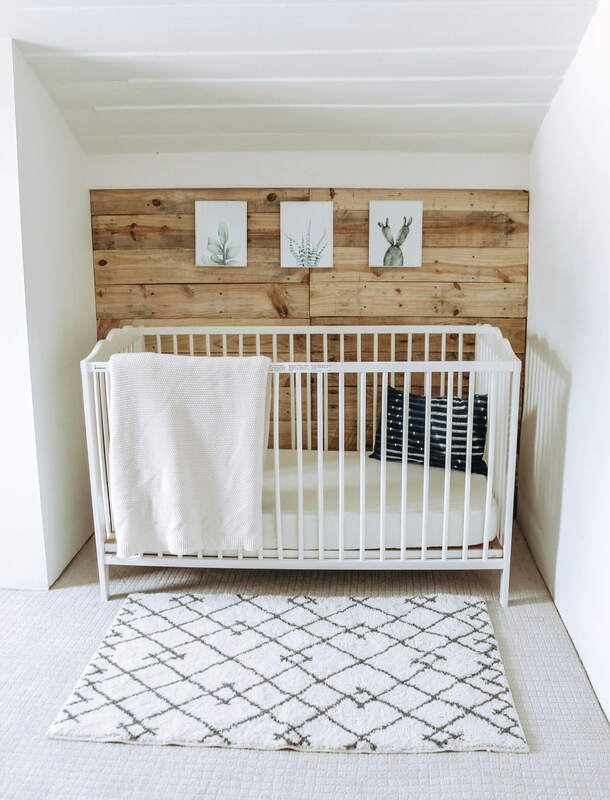 I am so in love with this nursery! It is perfect!!! Literally, everything is amazing. 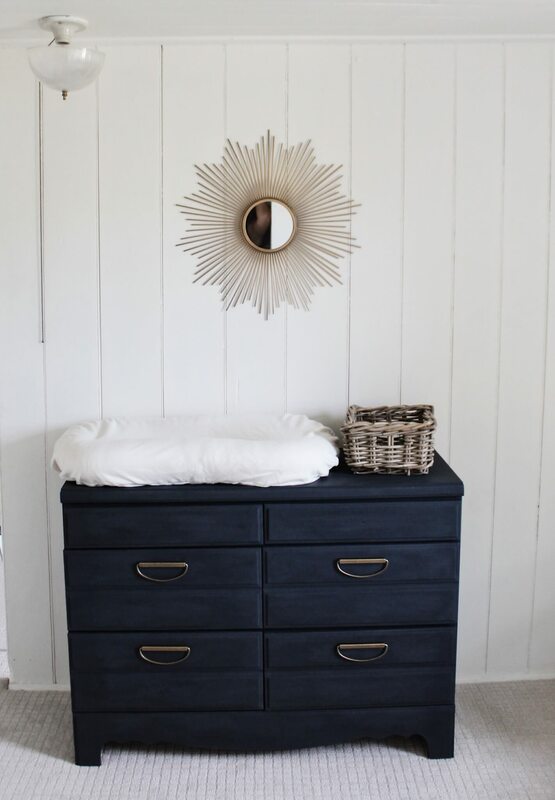 Love how the crib fits in that little nook… LOVE the dresser makeover. Awesome color choice! And I cannot believe you crocheted it! It turned out awesome… and those printables and the plant. Perfection! I am so happy you decided to join the challenge for another round. Another stunning space. Congrats on your upcoming arrival. The dresser color is lovely. It all turned out great. We have the same chair in our nursery and I love it. The sweetest little nursery ever!!! Great job momma it’s perfect! This is such a sweet nursery! (And kudos for getting it done before the baby comes.) I love all the little touches, and especially the wood wall and crocheted pillow. Perfection! Congratulations and hang in there! 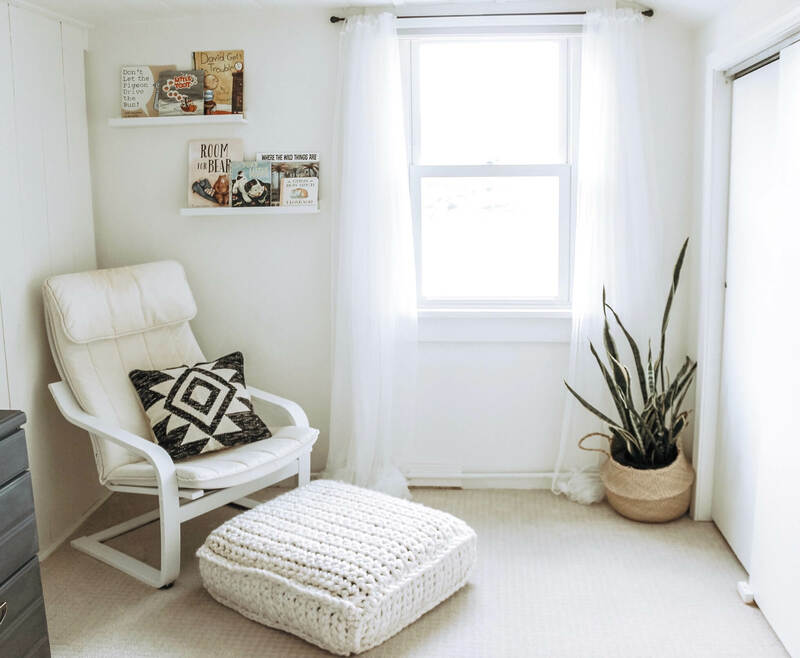 Such a relaxing, serene space- perfect for a nursery! That wood wall brings so much interest to this room. Amazing that you were able to do it all for such a small budget! Love! Love how you transformed that room. You have made it so cozy but light and airy all in one. Love the crib nook and the one with the chair.can’t believe what you did to that room. Great job. 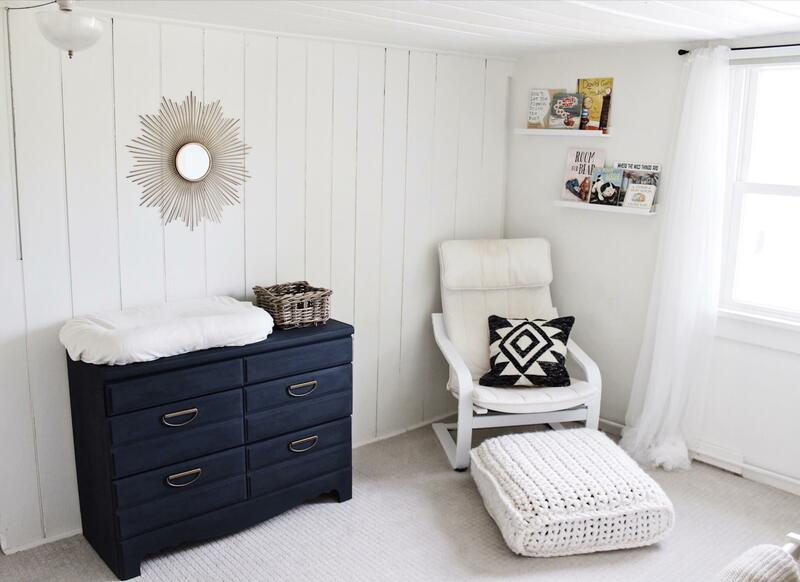 This nursery makeover is stunning! Love the color of the dresser and everything else! THE sweetest space around! It looks so amazing! Wow – what an amazing nursery! I love that wood wall and completely amazed that you made that floor pillow – it would sell for $200 on etsy. Just beautiful! So glad you joined the challenge!